Safety shoes have been tried in various ways, but after a long time with the price, comfort and weight I met something good. This review is about item#2460832. I have been wearing more than 10 legs, but the strength of the heel is one more and I hope to improve the material. This review is about item#2460665. This review is about item#02460674. It was better to be able to fix around the ankle. That seems to be a boots. This review is about item#02460656. 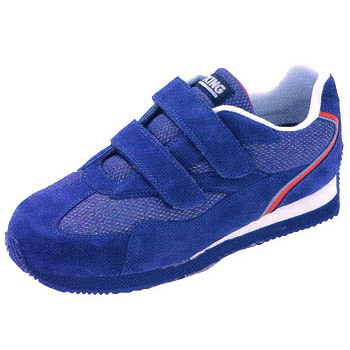 It is hard to slip on the oil resistant bottom, it can be fixed with two velcro straps, so it fits well to your feet. It would be nice if the price was a bit cheaper. This review is about item#02460631. This review is about item#02460665. I was troubled with wide upper and high feet of the instep. Actually it is perfect for 26.5 cm 3E shoes, but if it comes to safety shoes it is no use unless it is 28 cm 4 E as well. The size of shoes is irresponsible by manufacturer. If you do not wear it for a long time and you do not know how to hit your fingers, gradually getting tight and getting hurt when it hurts for half a day wearing. For me, this shoes brings a great advantage to me that saves the medical problem of not having to become a hallux valgus because the part of the mesh flexibly stretches and shrinks because of the problem of light weight. Recent Japanese people like many foreigners who have low-slender legs are increasing, it is getting harder for old Japanese like me to pick up shoes that can gradually be put on these days . For a person like my foot is a pair of salvation. This review is about item#02460692. Although it is shoes that I purchased for the first time, the iron core that is in the end does not bother me. Because he takes off or wearing so much, it will be useless only in the heel section. This review is about item#02460622.